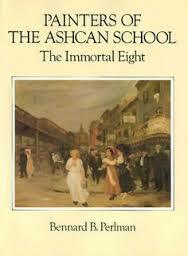 Research papers on John French Sloan examine his artistic career with painting and etching. In the early part of the 20th century, the Ashcan school of art emerged in American culture; this focused on depicting average, daily scenes in New York City, particularly as they existed among the urban poor. One of the founders of this artistic style, referred to as one of “The Eight” was John French Sloane, a painter and etcher. With a studio in Chelsea from which people could watch him work, French was able to create some of the most striking images of the average person’s experience in one of the grittiest cities in the United States. The settings in which he depicted his subjects was almost always intimate; he would watch people going about the minutiae of their day unnoticed and replicate it in all its honesty. While recent studies of the Ashcan School have focused on its Progressive elements, that of trying to draw awareness to these individuals’ plights in the hopes of social improvements, French himself did not want his work deemed important for its social value. He admitted to not wanting to raise social consciousness with his work; he did not want to have his work deemed as a sort of propaganda for social progress. He, instead, wanted all the emphasis to be placed on the art itself, including elements of brushwork, composition, and color values; this was, to him, the only measure of a successful artist. Romanticism Art - Romanticism Art Romantic art moved from England to continental Europe and was a leading style during the Napoleonic period in France. Neoclassicism - Neoclassicism research papers explain the term used to describe various movements in the arts that draw upon the works and culture of ancient Greece and Rome for inspiration. Paper Masters writes custom research papers on John French Sloan and examine his artistic career with painting and etching.